Hi all. 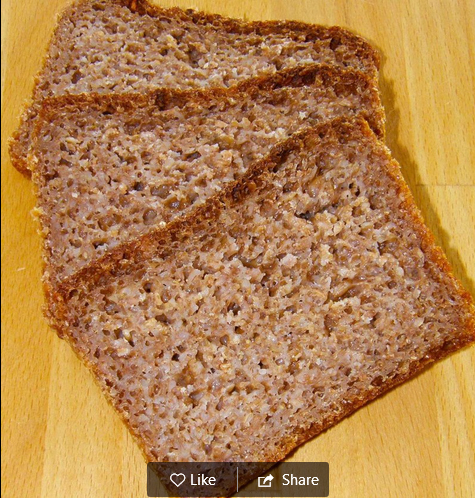 I am looking for a good formula for a 100% rye loaf, similar in result to a Rugbrod, but without the bells and whistles of beer, buttermilk, etc. I have been purchasing a loaf at a local health store that I love, but would like to start making instead of buying. It looks exactly like a Rugbrod in shape, density and also similar in flavour. The ingredients on the label are very simple...Rye flour, rye chops, salt, water. I have made a few Rugbrods in the past, but I find the ingredients list is a bit much...especially if a similar loaf can be achieved with only 4 ingredients. That does look delicious. Have you considered buying The Rye Baker? Hamelman also has a large rye section. Thanks, but I am trying to avoid purchasing any more books on bread at the moment...hoping to tap the vast knowledge base of the fine rye bakers that frequent this site. I hear you. Maybe The Rye Baker website has something. There are quite a few recipes there. Also The Rye Baker Facebook page os a great place to ask. Lots of Europeans on there. Anything here ring your chimes? There are one or two that are not 100% rye, at least one with yeast… but the links should lead you off into different directione. No wonder you're working your way through those, I want to try them all! Thanks for the info, and keep on baking. This is a 100% rye that I have made several times and it is quite delicious and toothsome but, as usual, I changed it up a bit. I found that the loaf was a little too crunchy when the final dough was a straight-through mix of coarse rye meal without a soak. So I adopted more of an overnight biga/soaker approach like THIS based on a Peter Reinhart recipe and I was much happier. I just put the preferment and the soaker in 2 separate gallon ziplocs to work overnight. Massage them well before mixing them together. I use a stand mixer. A few comments under the wheat version complained that it was difficult to mix the soaker as it was very firm but I didn't find it so. If it is, next time hold back a little water and mix it in to facilitate mixing in the other ingredients or just add a little more water (or beer). Rye proofs so differently from wheat. One minute it is fine and the next it is overproofed. Pay close attention to the dough at that time. I confess to multiple sunken but quite delicious loaves. I'm getting there. Read through Mini Oven's 100% rye thread that is posted above in one of the responses. It is very helpful. Have delicious fun with this one. It is time to make another loaf for myself. I slice it thin and freeze so I can enjoy the whole loaf 1 slice at a time! ...that was originally baked long and slow (example 16 hours in the oven)? Right up my alley! Thanks Dabrowny! Pumpernickel breads are traditionally baked at the end of the wood-fired oven's heat overnight-low and slow for great caramelization. Thank you all for your help! I will round these suggestions up and give them a try...I will post the final results.